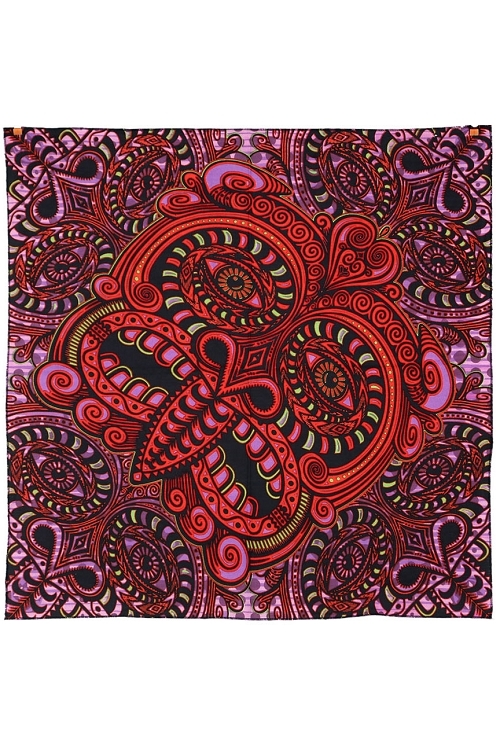 Get lost in the psychedelia that is this trippy tribal face 3D bandana. Measuring in at approximately 22"x 22" of neon tribal goodness, this bandanna is unlike any you've seen before. This regal mixture of purples and reds swirling with accents of neon lime is sure to leave your head spinning in the best way.